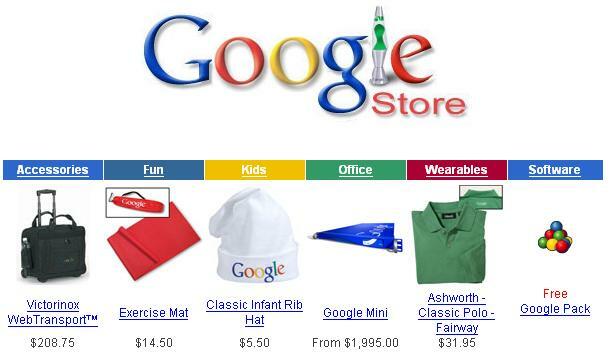 Probably old news, but new to me: Google is selling branded merchandise. If you can't live without a Google License Plate Frame or even Google gum, Google Store is the place to shop. There's a clearance on right now so get your Google Bib Bike Shorts and Google Trucker Cap while supplies last. Of course, they also stock Lava Lamps. I wonder how much of their annual revenues comes from this.